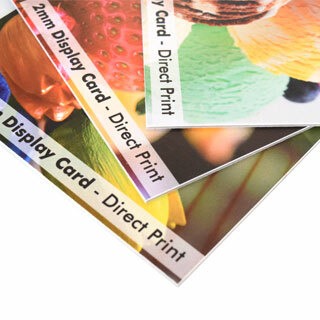 Strut Cards, printed on 2mm Display Card, light weight and smooth finish display board. Ideal point of sale display with collapsable strut attached to reverse. Quick and easy to assemble graphic display system. 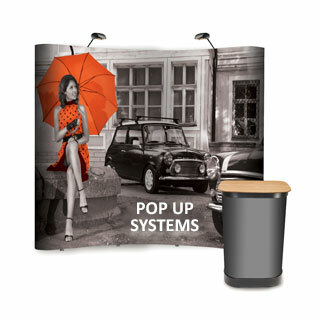 The fabric pop up display fitted on an expandable frame structure with magnetic locks. 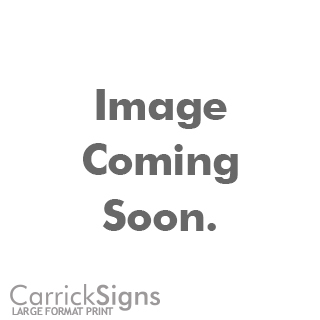 Acrylic Signage, clear solid plastic which can be direct printed or vinyl mounted for an effective professional looking display. 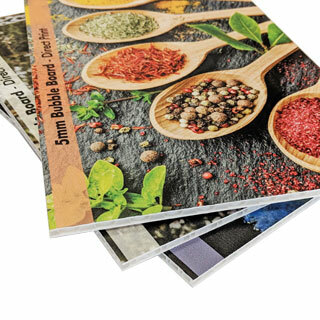 Deluxe roller banners are supplied with a high quality graphic and premium flat base mechanism, providing extra stability as well as more professional appearance. Supplied with a high quality protective carrying case. 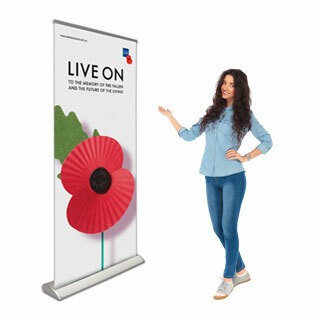 800mm wide standard size roller banner with high quality graphic and a choice of a standard, deluxe flat base and premium base. Industry standard size supplied with protective carrying case. 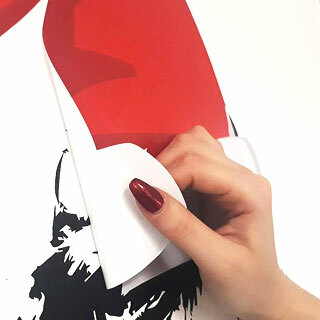 Photo Backdrop Printing. 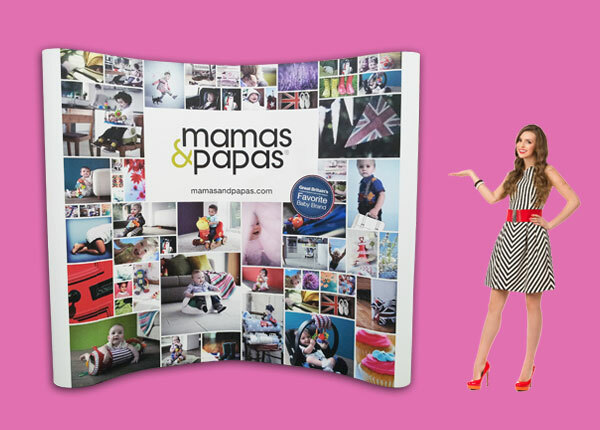 Press backdrops, logo step and repeat boards, media backdrop displays for red carpet events, promotional events and general photo opportunities with printed, branded, freestanding background. 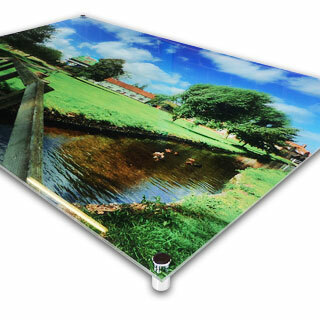 2mm Display Card, light weight and smooth finish display board. 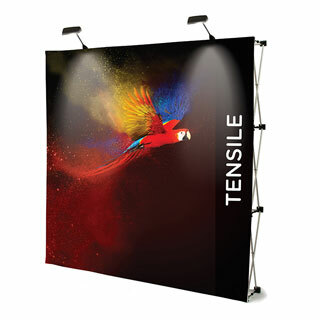 Ideal for hanging displays, strut cards and point of sale graphics. Custom size and design large correx boxes with waterproof print. 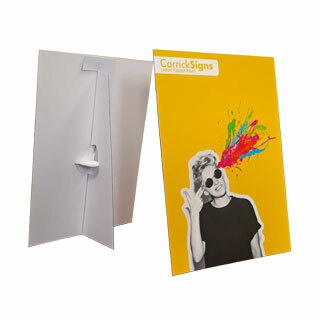 Correx Display Boxes, bespoke Correx® folding display boxes. 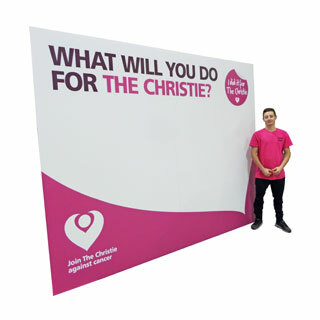 Vibrant point of sale and event advertising, cost effective, easy to set up and ideal for outdoor display. Boxes can also be set up with lids or slots at request. Printed Self adhesive One-way Vision Window Graphic, also called Contra Vision film or Contra Vision Sticker. Perfect solution to combine window privacy from inside of the window and advertising space visible from the outside. 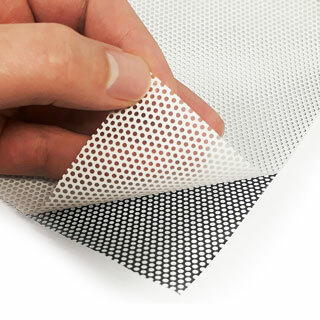 Innovative Easy Dot removable vinyl sticker makes wall graphic application an easy task for anyone. 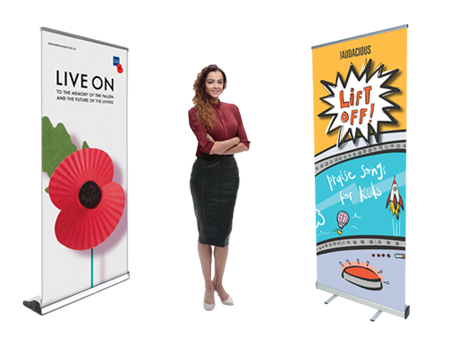 Professional pop up display system, high quality digitally printed panels with magnetic framework, supplied with a hard wheeled case which doubles as a podium piece. LifeSize Cut Out, custom shape free standing life size cut out prop with collapsable strut attached to reverse. 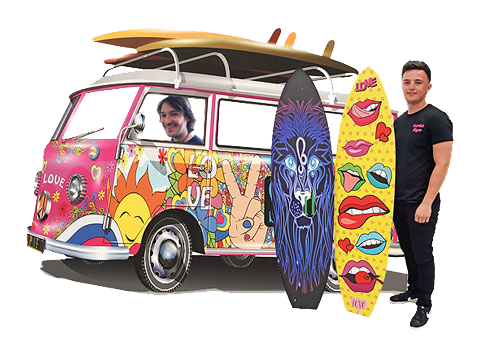 Available to print and cut up to 10ft in height. 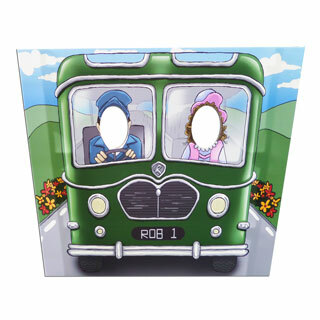 Head Hole cut out boards, also known as stand in photo props, perfect for interactive photo opportunities at a variety of events and venues. Supplied with collapsable struts for easy set up and transportation.